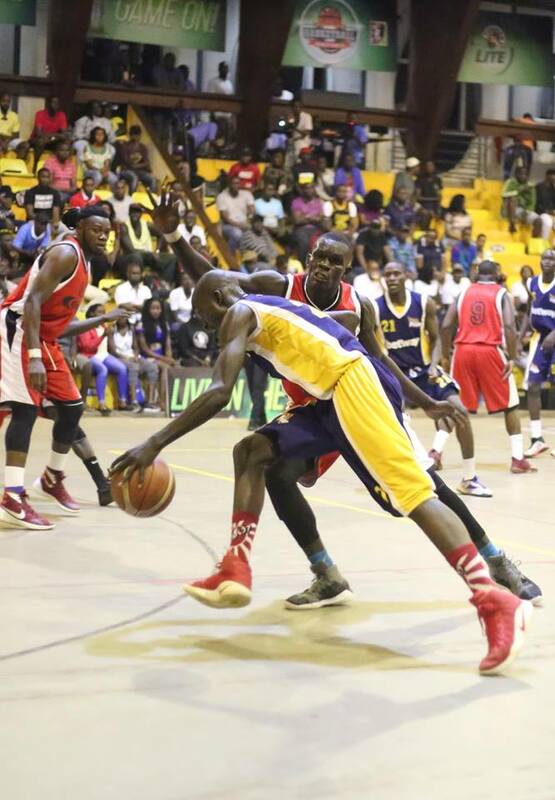 LUGOGO – Reigning FUBA National Basketball league (NBL) champions City Oilers moved a step closer to retaining their crown on Sunday evening defeating BetWay Power 77-68 in game three of the best of seven Series. Mandy Juruni’s side who have now won the last two games having initially lost the first will win this year’s title if they defeat Power in their next two games. Oilers were ruthless on the night, winning the first three quarters 59-42 en route to sealing a comfortable nine-point victory. The game started slowly with the first points on the night coming via a Geoffrey Soro layup with just over two minutes played to put Power 2-0 up. With 4:40 to play in the quarter, the two sides were locked on 12 all highlighting the evenness in the contest. However, Oilers managed to edge the quarter 23-20 in the end. Oilers intentions started to unfold clearly in the second, scoring the first four points of the quarter en route to winning it 18-12. Even after half-time, the five-time defending champions did not slow down, scoring the first nine points of the third quarter and eventually winning it 18-10 and holding a healthy 17 point caution going into the last 10 minutes. Power tried to stage a come-back in the last quarter but the best they could do is reduce the deficit to nine by the sound of the final buzzer. Oilers had four players in double figures in terms of points with James Okello scoring a team-high 15. Stephen Omony (14), Josh Johnson (14) and Landry Ndikumana (12) are the others who reached double figures. For Ndikumana and Omony, it was a double double night after collecting 14 and 11 rebounds respectively. Captain Joseph Ikong scored a game-high 17 points in the losing effort. Soro had 16, Philip Amany 11 and Stephen Wundi 10. Oilers need to win the next two games to win a sixth consecutive championship. Game four is on Wednesday.